The second tidbit is actually the biggest piece of news today, since Digg Reader is now available for mobile Web browsers. 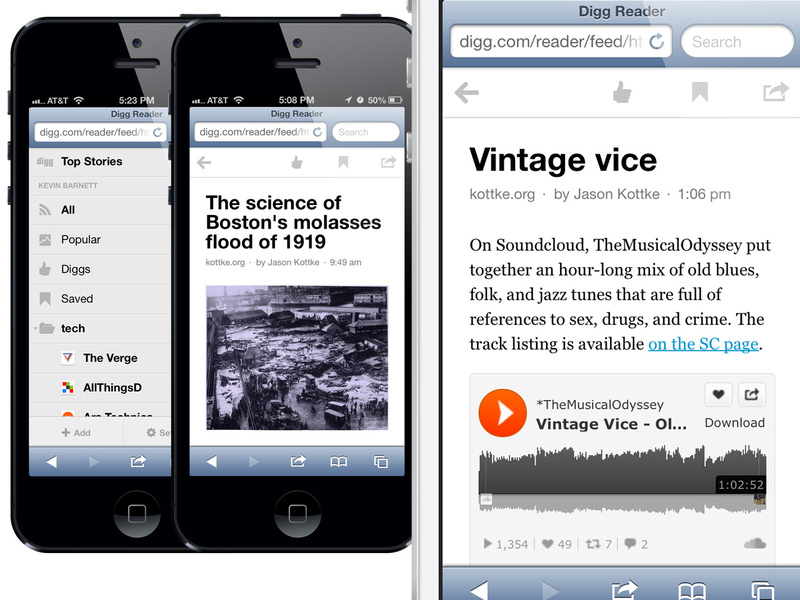 Previously, navigating to digg.com/reader would throw up an error that Digg Reader isn’t yet available on mobile and suggest downloading the iOS app. Now, it just works on both smartphone and tablet browsers. Future updates will bring the mobile web experience closer to feature-parity with our other apps, and will expand support for more devices and operating systems. We’re also going to be building edgier (at least in the context of mobile browsers) capabilities, like offline use/storage and an add-to-Reader bookmarklet. For what it’s worth, I just tried it on my BlackBerry Bold 9900, and couldn’t get past the sign in page. This is a bit disappointing as I was waiting for mobile browser support before considering Digg Reader as an alternative. As you can see above, iOS users don’t have to worry about such problems, as the mobile version works fine on Apple’s devices. Even if that wasn’t the case, however, there’s an app for that. 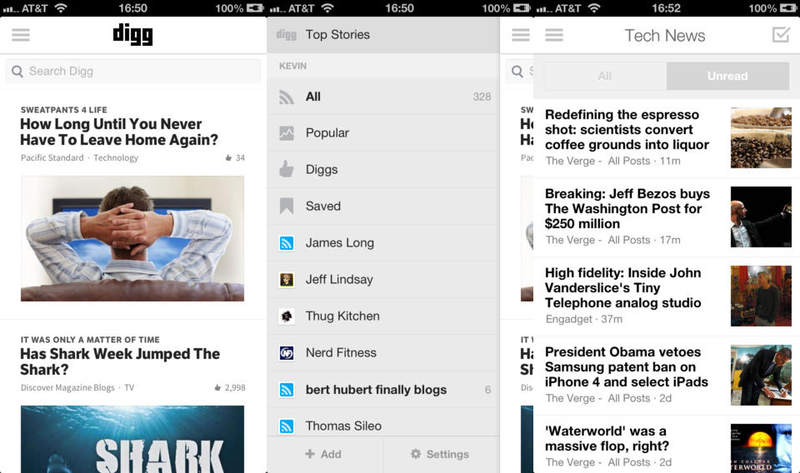 New “Popular” section delivers the best articles from your subscriptions. Added the option to view only unread items. You can now delete feeds and folders.